Lots happening on the blog today! 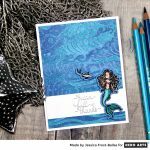 For the Lil’ Inker Designs Mini Release and giveaway please click here! For the Lawn Fawnatics Challenge #4 Black/White & Bright please scroll down or click here! Good afternoon! 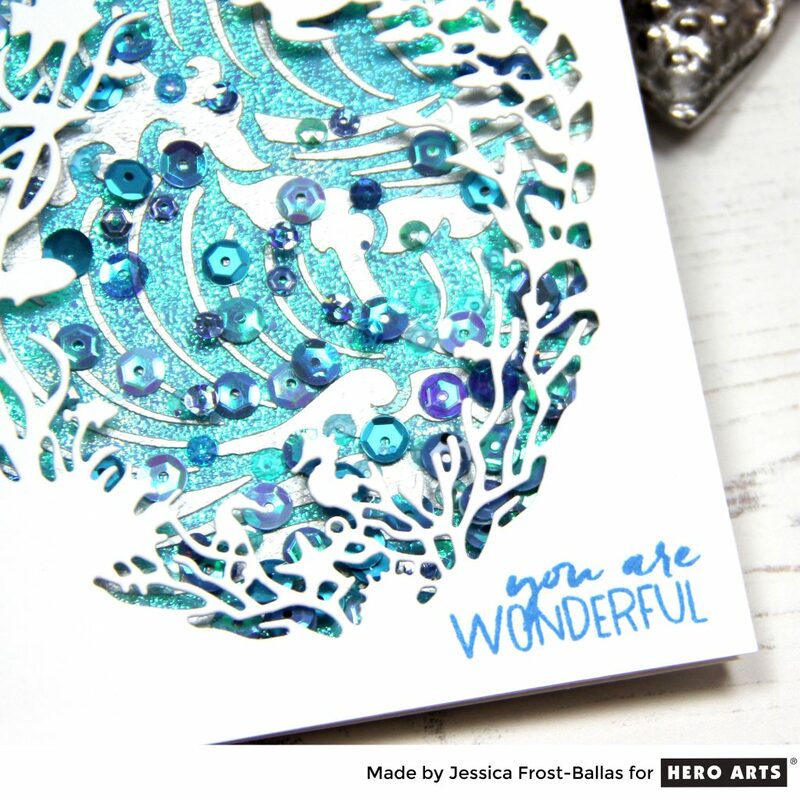 Today is the release day for the Hero Arts May My Monthly Hero kit and it’s a must-have!! 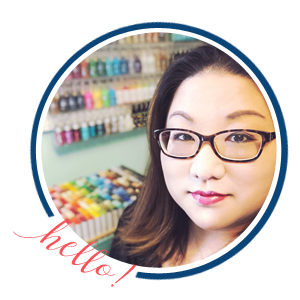 You should have arrived from Wanda but if not, you can head to the Hero Arts Blog to start at the beginning! 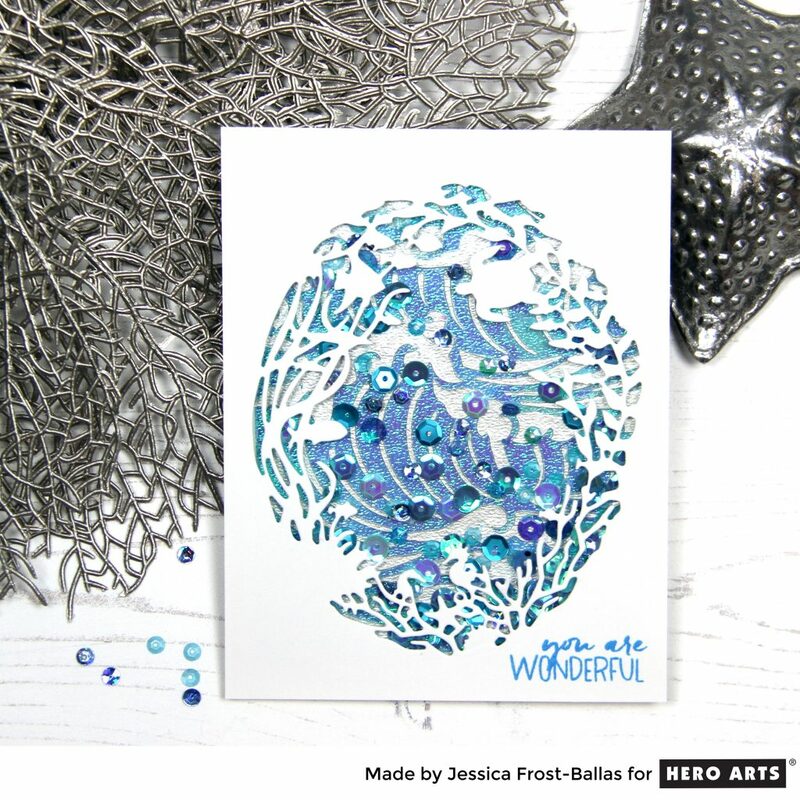 The May kit is now available for purchase at Hero Arts but once they’re sold out, they’re gone for good so make sure to head over and shop soon! The kit value is $70, an amazing deal at $34.99. I used lots of kit items and one of the add-on dies for my shaker card. 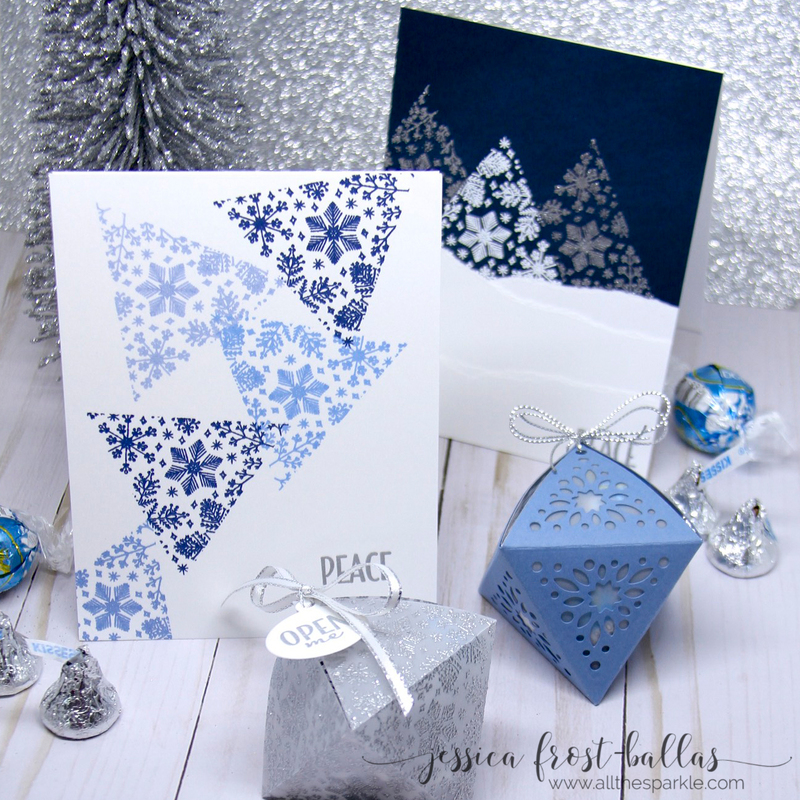 I started by laying the kit stencil over the ice blue paper that’s included in the kit and applied pure platinum embellishment mousse over the stencil in a thin layer. Then I removed the stencil (washed it quickly) and let the mousse dry completely. 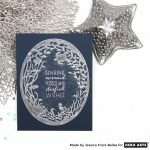 While that was drying I die-cut the Reef Border from white cardstock and then stamped the sentiment from the kit onto the panel with pool ink. Then I adhered one of the acetate sheets behind the panel and built up a shaker frame with a double layer of foam mounting tape. I filled the shaker with sequins and then sealed it with the stenciled background. Finally I adhered it to a card base and gave it a good shake to make sure everything was sealed tightly! 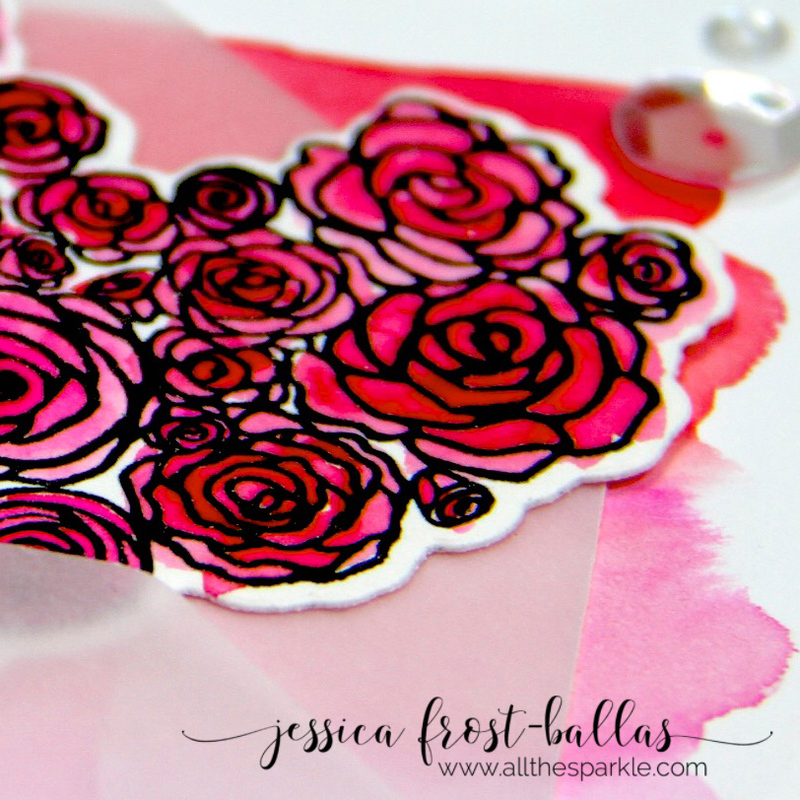 Wow – the cards being made with this kit just amaze me! This one is fabulous! I had to just stare at it a minute before I read how you created it. Beautiful! This is gorgeous with your scattered sequins! Oooh what a lovely, gentle card! looks just like a beautiful sea! Such pretty colors you used. Love your other cards also. Truly beautiful! I love the gorgeous colors on this one. A great kit! How pretty and serene this card is! Love the new kit. Isn’t that a yummy die??? Love what you did with it. Love the kit! My girls are really into mermaids, so I purchased just now! wow, wow, wow! that’s about I can say! It’s like a whirlpool of awesomeness! Great card! I always love what you create. Wondering if you would consider doing a video for this card, I’d like to see some techniques! Jessica, the fun you have had with this month’s release is inspiring. Your cards are evidence of how much you love it, and what’s not to love. I have a strong feeling it will be my favorite too; I love playing with blues, and the possibilities are endless with this gorgeous kit. Keep the inspiration coming! That is so pretty and I love the sparkle. Beautiful cards, especially the embossing powder over black card! Wow, what a striking card! Beautiful colors and I like the addition of the sequins. Oh my, that is beautiful! I especially like the Reef border frame. Gorgeous cards, so different from the others. The blue is so pretty. The water background you created is amazing. 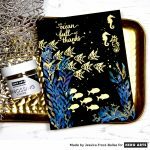 Love the beautiful color of the paper and the platinum mousse is great with it.